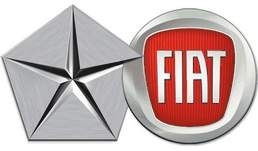 TURIN – Consolidated vehicle sales for Fiat-Chrysler rose 8.2 percent in the first two months as strong Chrysler demand in North America offset Fiat's decline in Europe. Sales increased to 616,800 compared with a year earlier, Fiat said. The Italian automaker, which owns 58.5 percent of Chrysler Group, began releasing consolidated results for the two automakers for the first time on March 31. Fiat-Chrysler sales in North America, the largest market for the two carmakers, rose 35.8 percent to 281,200 in the first two months, Fiat said. Overall, the region accounts for 45.6 percent of global sales. In the Europe, Middle East and Africa region (EMEA), Fiat-Chrysler's second-largest market, sales declined by 18.7 percent to 181,800. Passenger car sales fell 13.8 percent to 149,700, while light commercial vehicles dropped 23.9 percent to 32,100. Car sales in the EU and EFTA countries fell 16.5 percent to 135,100 while light commercial vehicle sales dropped 17.4 percent to 32,300. The EMEA markets account for 29.5 percent of global sales. Sales in the No. 3 market, Latin America, grew by 2.3 percent to 135,600, rising 9.8 percent in Argentina, but remaining flat in Brazil. Latin America represents nearly a quarter or 22 percent of Fiat-Chrysler global sales. Growth in Asia Pacific (APAC) showed the biggest increase, but the region remains the smallest market by sales volume for the two automakers. Sales grew by 27.2 percent to 16,200, with Jeep sales of 6,900 in China and sales of Fiat-branded models reaching 3,800 in India. Asia Pacific accounts for 2.6 percent of overall global sales. Fiat's high-end sports car brands, Ferrari and Maserati, grew global sales by a combined 6.7 percent to 1,900 in the first two months. In January, Fiat-Chrysler CEO Sergio Marchionne forecast that the alliance, which has been operating as single company since September 1, 2011, will sell between 4.1 and 4.4 million vehicles this year, up from 4.0 million in 2011.